Brad Thor's Summer 2018 Fiction Pick for THE TODAY SHOW! WHAT WOULD YOU GIVE UP TO REMEMBER? One afternoon at an outdoor market in India, a man's shadow disappears—an occurrence science cannot explain. He is only the first. The phenomenon spreads like a plague, and while those afflicted gain a strange new power, it comes at a horrible price: the loss of all their memories. Ory and his wife Max have escaped the Forgetting so far by hiding in an abandoned hotel deep in the woods. Their new life feels almost normal, until one day Max's shadow disappears too. Knowing that the more she forgets, the more dangerous she will become to Ory, Max runs away. But Ory refuses to give up the time they have left together. Desperate to find Max before her memory disappears completely, he follows her trail across a perilous, unrecognizable world, braving the threat of roaming bandits, the call to a new war being waged on the ruins of the capital, and the rise of a sinister cult that worships the shadowless. As they journey, each searches for answers: for Ory, about love, about survival, about hope; and for Max, about a new force growing in the south that may hold the cure. 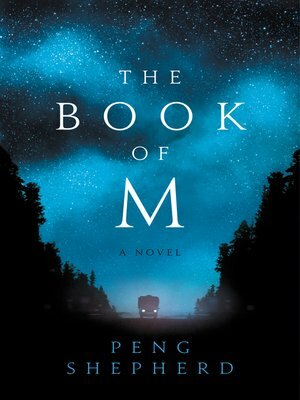 Like The Passage and Station Eleven, this haunting, thought-provoking, and beautiful novel explores fundamental questions of memory, connection, and what it means to be human in a world turned upside down.